The State Historical Museum of Russia is a museum of Russian history wedged between Red Square and Manege Square in Moscow. Its exhibitions range from relics of the prehistoric tribes inhabiting present-day Russia, through priceless artworks acquired by members of the Romanov dynasty. The total number of objects in the museum's collection numbers in the millions. The spot where the museum now stands was formerly occupied by the Principal Medicine Store, built on the order of Peter the Great in the Moscow baroque style. Several rooms in that building housed royal collections of antiquities. Other rooms were occupied by the Moscow University, founded by Mikhail Lomonosov in 1755. The museum was founded in 1872 by Ivan Zabelin, Aleksey Uvarov and several other Slavophiles interested in promotion of Russian history and national self-awareness. The board of trustees, composed of Sergey Solovyov, Vasily Klyuchevsky, Uvarov and other leading historians, presided over construction of the museum building. After a prolonged competition the project was awarded to Vladimir Osipovich Shervud (or Sherwood, 1833-97). 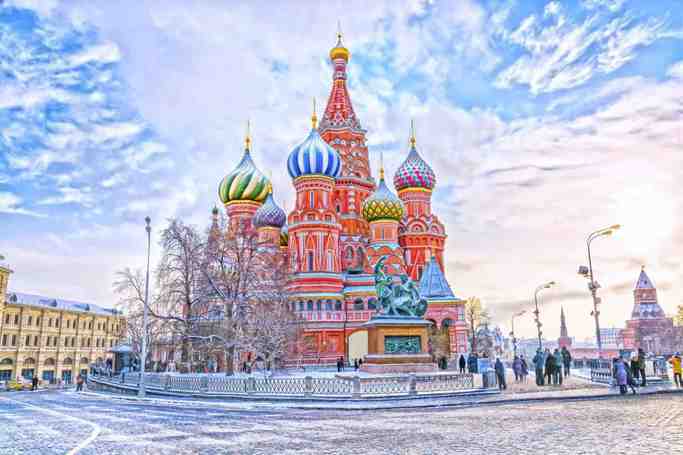 The present structure was built to Sherwood's neo-Russian design between 1875 and 1881, and officially opened in 1894 by Tsar Alexander III. Its interiors were intricately decorated in the Russian Revival style by such artists as Viktor Vasnetsov, Henrik Semiradsky, and Ivan Aivazovsky. During the Soviet period the murals were proclaimed gaudy and plastered over. The museum went through a painstaking restoration of its original appearance between 1986 and 1997.
Notable items include a longboat excavated from the banks of the Volga River, gold artifacts of the Scythians, birch-bark scrolls of Novgorod, manuscripts going back to the 6th century, Russian folk ceramics, and wooden objects. The library boasts the manuscripts of the Chludov Psalter (860s), Svyatoslav's Miscellanies (1073), Mstislav Gospel (1117), Yuriev Gospel (1119), and Halych Gospel (1144). The museum's coin collection alone includes 1.7 million coins, making it the largest in Russia. In 1996 number of all articles in the museum's collection achieved 4,373,757. 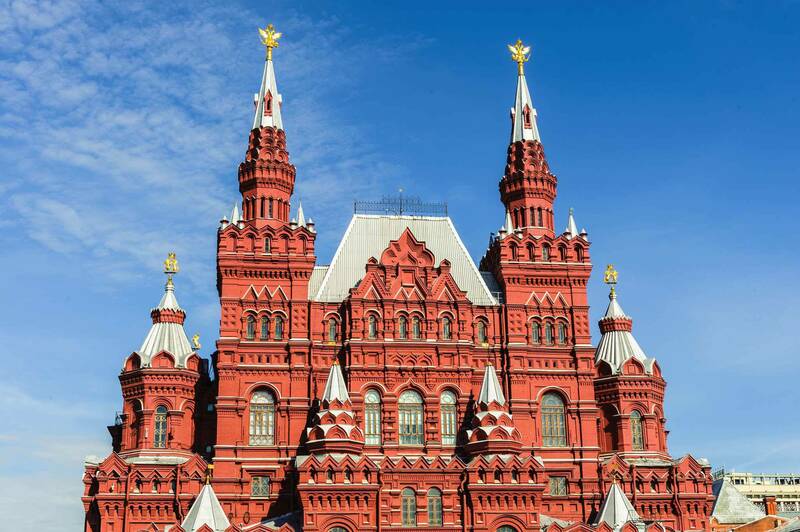 A branch of the museum is housed in the adjacent building of the Moscow City Hall; two others are accommodated in the Novodevichy Convent and Saint Basil's Cathedral. State Historical Museum | eTips Inc.